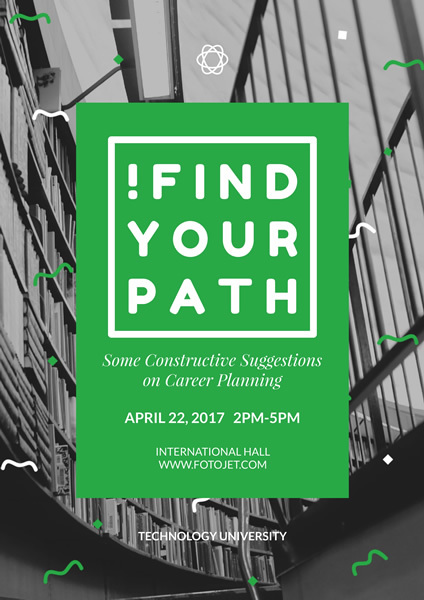 For those who are facing impending graduation and preparing to kick off the career, some constructive suggestions on career planning are a great help for them and will draw them out off confused state. If there is a lecture aiming at helping graduates to find their career paths, just hang some college posters on bulletin boards to spread it out. This poster template is ready to use. Just replacing the default information into your own details can finish an amazing lecture poster designs. If you have more personal editing needs, Just make it come true with design tools.